Happy St. Patrick’s Day! Aside from a pilgrimage up Croag Patrick in County Mayo, followed by a pint of craft beer at the Porterhouse Brewing Co. in Dublin’s Temple Bar (as long as we’re pretending), I believe one of the best ways to celebrate is raise our Petes in humble thanks for all the Irish have given us, including good pipes to smoke. To give you even more cause for celebration, here’s a first look at the 2017 new product lines from Peterson. I only have official photos at this point, but I’ll follow up with more information in a few weeks. For now, enjoy. What could possibly follow the 2016 POY with such great visual contrast, but an homage to Peterson’s original 1906 chubby? I’ve talked about this shape before, but when Peterson made their first reproduction back in the 2005, they used the largest of the original “Jap” shapes. Here they use the medium shape and come closer to the classic forward-canted egg / bell from that catalog. My late friend “Trucker Chuck” Wright, known to many old-time Pete aficionados, had a companion-case set of these originals, one in briar and one in meer, which now sits in Tom Palmer’s office in Sallynoggin. At first I was hoping for a P-Lip, but looking at that wide bit reminds me of my Italian chubbies from over at Neatpipes – and the wide-grip mouthpieces on those deliver extreme comfort between the teeth. Don’t know if this is a limited edition of 500 pieces again this year, but I’m hoping we might get an upgrade on the LE box. 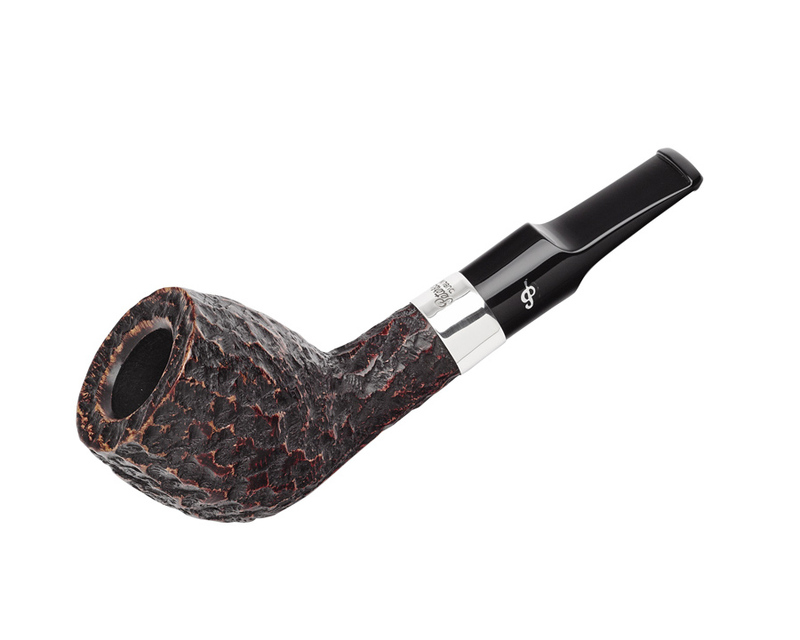 I like the blast on this year’s pipe (at least, the one shown) better than last, and the rustication is a vast improvement over the past few years, although still not up to the soft, deeply craggy “Pebble Rustic” of the 1990s. Do you remember back when you first took up the pipe? When you didn’t have two dollars to rub together and felt blessed if you had the money to take your girl for a burger and fries? 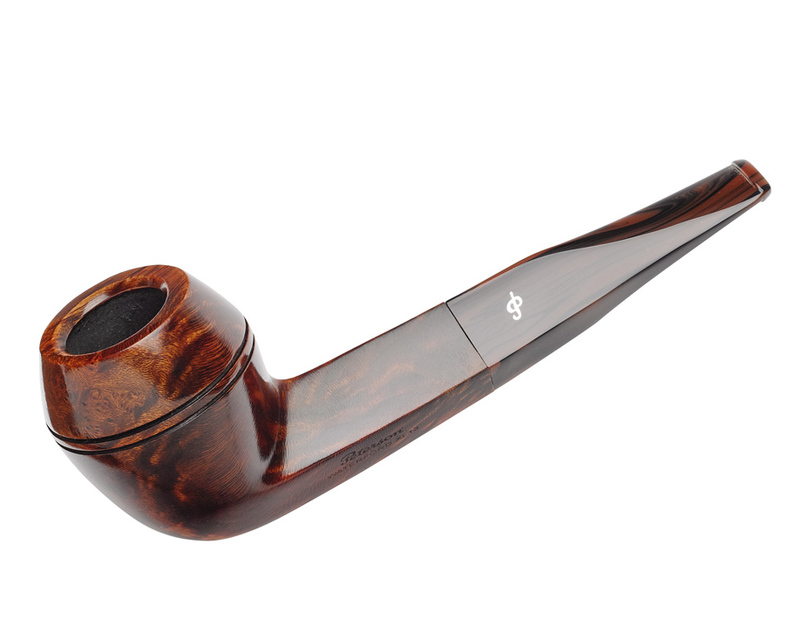 Back when you smoked your Dad’s Kaywoodie (the bulldog with the stinger) and bought your first pipe out of a basket? Those days are as enchanted for me as anything in Marcel Proust’s À la recherche du temps perdu. I remember looking through the cases at all the pipes at Ted’s in Tulsa that I couldn’t afford, going from pipe to pipe to pipe. Pete Systems were $33, basket pipes $8. 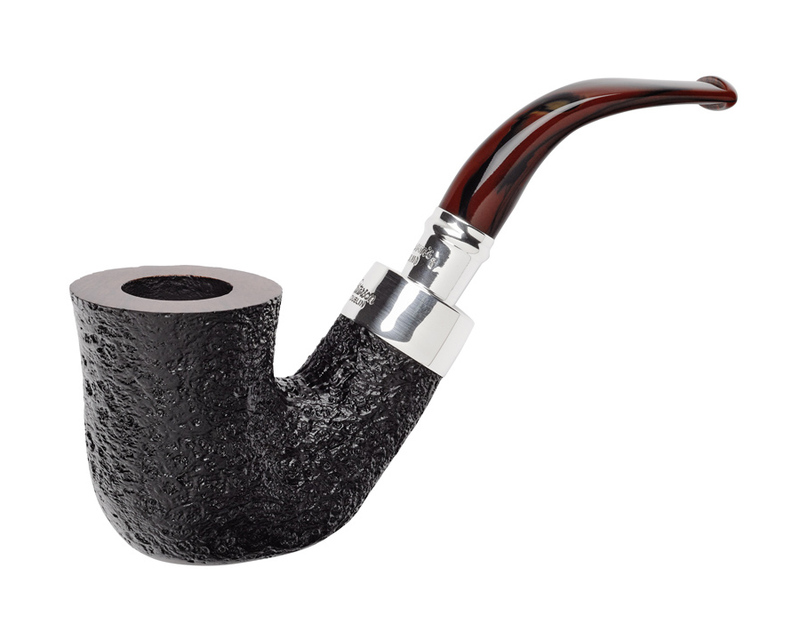 A Jobey Stromboli, my first real pipe, and one I treasure to this day, was $12.50. 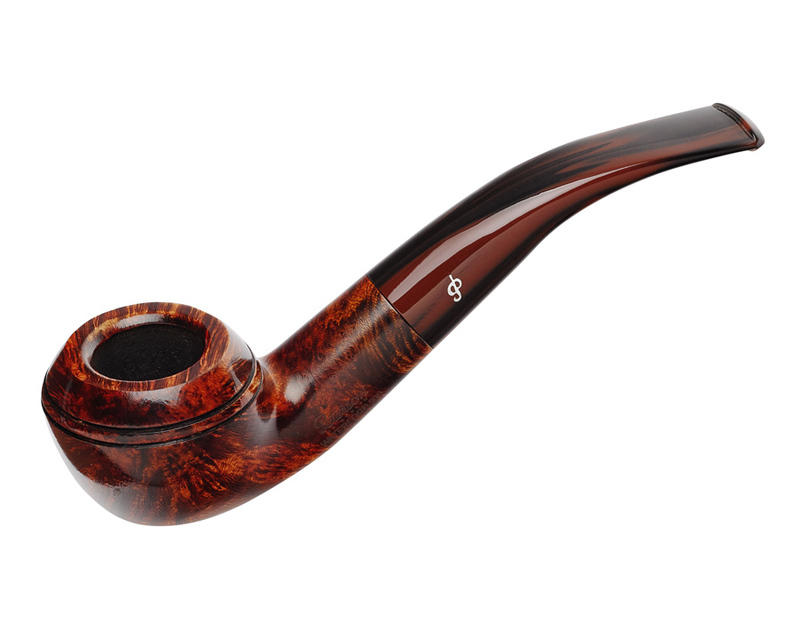 Well, the Clontarf is the kind of pipe that, as a beginning pipeman, I would return to look at again and again, hoping my favorite shapes were still in the case. The visual design just pops—that smooth honey-brown with its striking rim rustication, the bold black PETERSON over CLONTARF logo (better than a Nike swoosh stripe, right?). 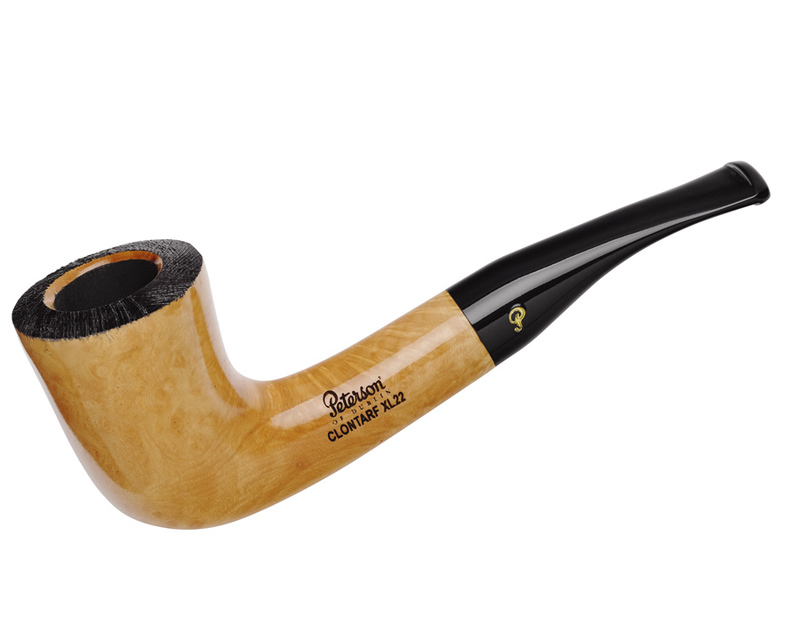 And I imagine the price-point will be tempting for young and new smokers as well as old hands looking for something that says Peterson in a fresh way. The Clontarf takes its name from the coastal burb just north of Dublin, famous for the Battle of Clontarf in 1014, when High King Brian Boru defeated the Vikings of Dublin and their allies, the Irish of Leinster. A dozen shapes have been announced, including the 69, 106, 408, 606, 999, B7, X220, XL11, XL20, XL21, XL22 and XL90. The Newgrange sterling spigots feature a the seldom-seen F-mount, using K&P’s old-school “Pete-Speak,” where “F” stands for “facing.” This might more usefully be translated as “flat,” because that’s what it does – covers the top of the shank at the mortise with a flat rather than domed surface. The beautiful black and maroon swirl acrylic mouthpieces compliment the gloss blast finish and what appears to be either a dark brown or cherry smooth rim. A dozen shapes have been announced, including the 01, 03, 05, 69, 87, 106, 408, 999, X220, XL02, XL11, and XL90. Standouts for me are the X220, which is a chubby version of shape 11 (De Luxe System) / 312 (Standard System), the XL11 (Original Sherlock Holmes) and XL02. The line takes its name, as I’m sure you know, from the amazing megalithic Newgrange passage tomb in the Boyne valley. It’s very narrow inside, and when we toured a few years back, someone got claustrophobic and we all had to do the backstroke to help him get out. 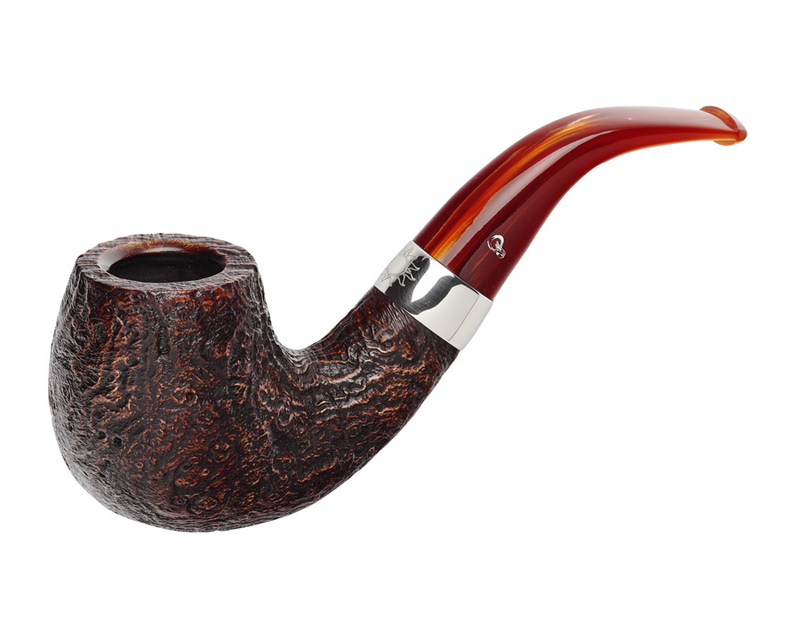 The de-stress of a Peterson pipe would have come in handy at that point, right? Newgrange is a World Heritage site and worth a day when you next visit Ireland—and the Knowth tomb is right next to it. You’ve presumably already read about these and bought that wonderful B56 / Sylvius to enjoy it today, right? No?! 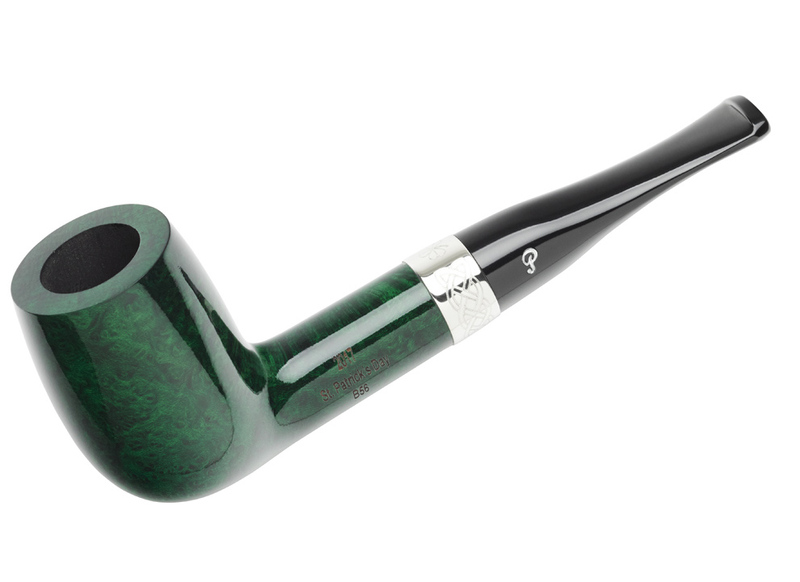 Well you can read about them here: https://petersonpipenotes.wordpress.com/2016/11/24/sneak-peak-st-patricks-day-pipes-for-2017/ . And there’s still some SPD17s around—but don’t wait too long, as they’ll disappear before summer hits. Like Christmas, the spirit of St. Patrick’s Day is something you learn to cultivate all year long. At least, that what’s my Jedi master taught me. For the second release in the Summertime line, Peterson goes for a nice blast brown/orange finish with orange swirl acrylic mouthpiece, traditional “navy” mount and silver hot foil P on the stem. It’s a great contrast next to the army-mount blue bowl & yellow stem 2016 Summertime – having them side-by-side in the pipe rack would be fun. The dozen shapes announced include 03, 68, 69, 80S, 150, 230, B10, D18, X105, XL02, XL16, XL90. I can tell you the giant D18 Oom Pauls – the 150th Anniversary Pipe – are going to go fast, so if you want one, you might try to go ahead and reserve it with Ben at Tobaccopipes.com or your favorite shop. The XL16 is another stand-out for me, having originally appeared as the Professor [Moriarty] in the Sherlock Holmes lines. The 80S and 150 also really shine in this dress. From what I can see of the Valentia line, it seems to be Peterson’s first higher-grade green-stain line since the Racing Green appeared in the mid-1990s. 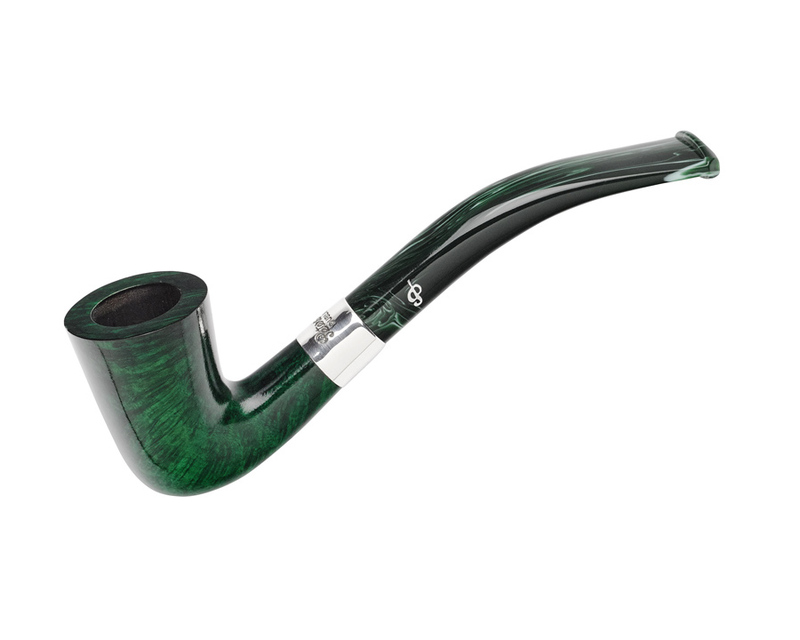 Both feature sterling bands, but the Valentia appears to be a higher-grade than the Racing Green, indicated not only by the amount of grain showing through but the all-important aluminum-imbedded P in the swirl green acrylic mouthpiece. A worthy successor, I’d say. 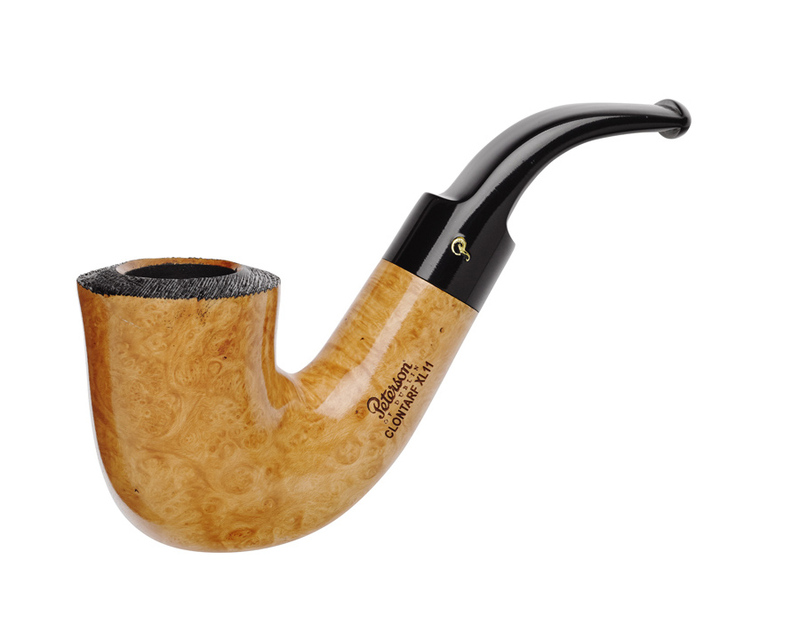 In Italy, these are called lady-pipes, originating in Peterson’s Belgique and Calabash designs from the mid-1940s. 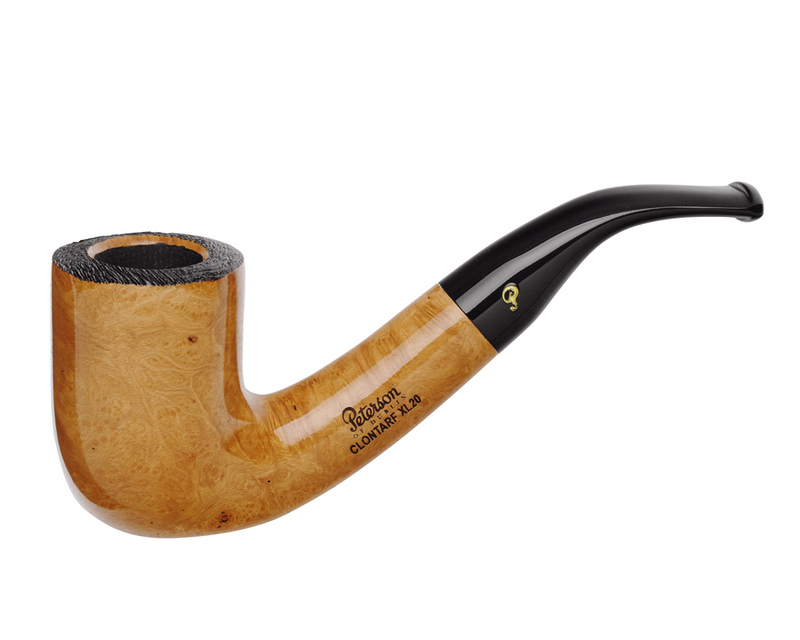 Announced in a half-dozen shapes, slim and elegant, including the 15, 65, 86, Barrel, Belgique and Calabash. The line name comes from Valentia Island off the Iveragh Peninsula at the southwest corner of County Kerry. There’s a bridge at Portmagee that will take you over. When I die, I suspect heaven will look remarkably like County Kerry. The Waterford line is the 2017 high-grade, so don’t expect to see many of them. I can count the 2016 Dublin & Londons I’ve seen on two hands – they’re for serious collectors. 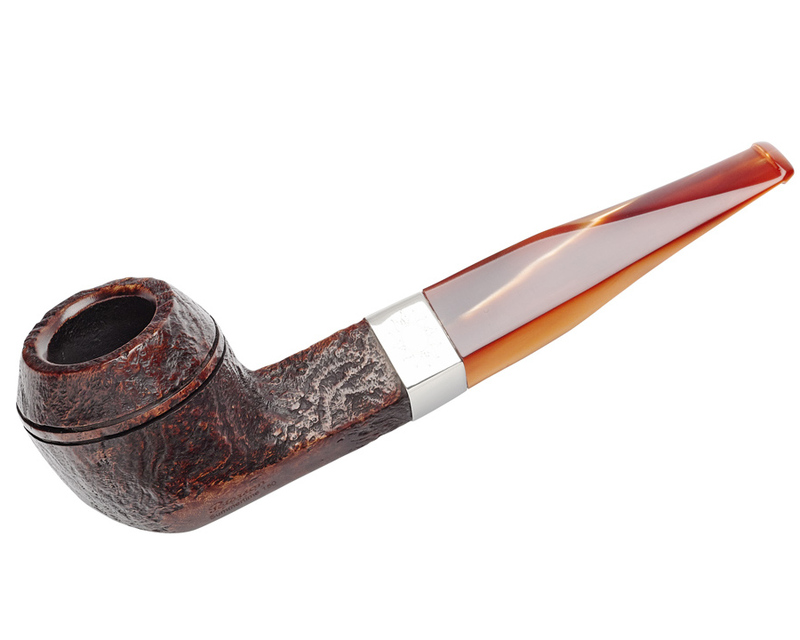 The Waterfords, as you can see, feature an amazing smoky orange finish with a dark black and deep orange acrylic swirl mouthpiece and (of course) imbedded aluminum P. This is Peterson’s higher-grade briar, and it shows. The dozen announced shapes are suitably sophisticated: 01, 01, 106, 338 (yea! ), 502, 999, X220, XL11, XL13, XL22, XL25, XL90. Where in the world did they get 502 bowls? They must date from the 1980s (you can read up on the 500 shapes here: https://petersonpipenotes.wordpress.com/2016/10/24/the-peterson-500-shapes-and-new-old-stock/ ). 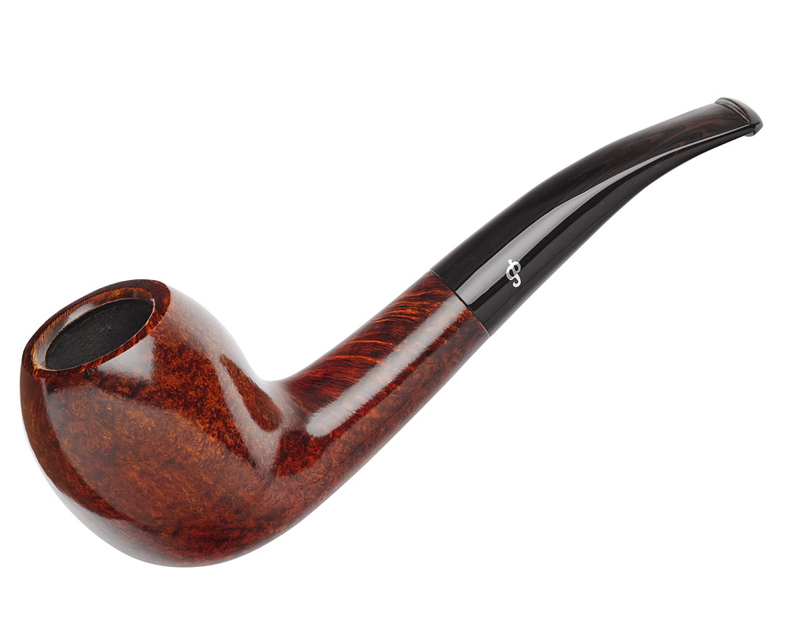 Several big pieces here from the Sherlock Holmes series—the XL11, XL13, XL22, XL25. If you’ve never noticed this feature on a Pete before, see how the bowl heads are beveled in around the chamber on these high-grade Petes: I think Dunhill used to call these “easy-loader” rims, didn’t they? Sometimes you see this kind of head on a mid-grade Pete, but it’s certainly part of the high-grade package. The Christmas pipe this year, designated the Elf Army 2 here on the blog, is a return of the glorious army-mount. 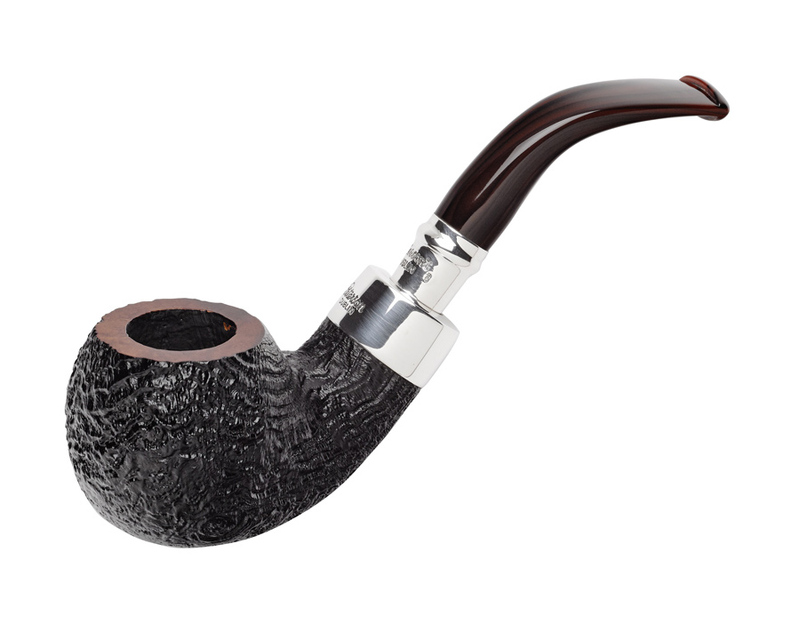 This year’s will be a deep burgundy-over-black blast with engraved-nickel band, pearl-acrylic fishtail stem, and silver hot foil P. It’s been announced in a dozen shapes: 01, 03, 05, 69, 87, 106, 408, 999, X220, XL02, XL11, and XL90. 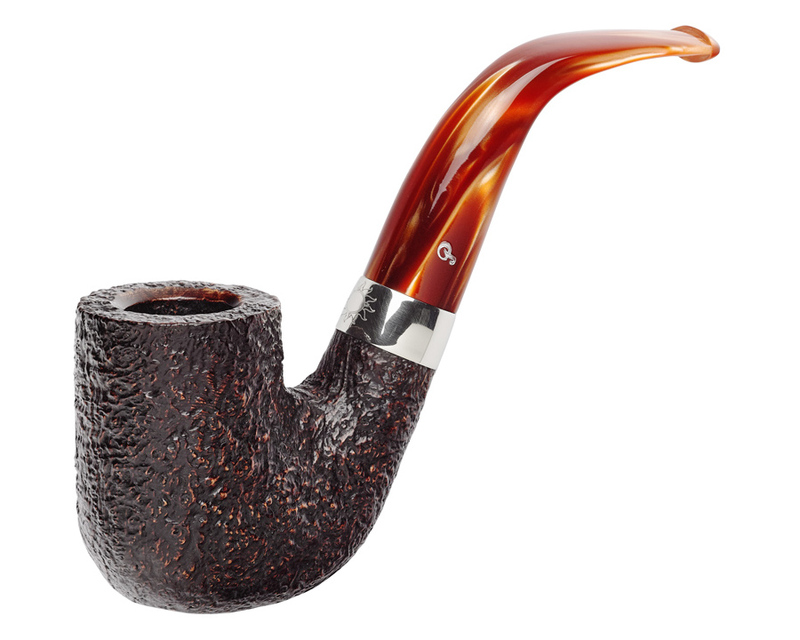 Eleven are from the Classic Range shape chart, but the XL11 is the “Original” Sherlock Holmes shape designed by Paddy Larrigan. As to availability, I can only make a guess based on previous years. We will probably see the POY here in the States by the end of May or early June. The Summertime pipes may be out sometime in April. As to the others, I have heard that in the Sallynoggin shop (“factory” really just isn’t the word) initial batches of new lines are usually done sequentially — meaning we might see a larger-volume line like the Clontarf before the smaller, higher grade releases. It’s often the case that European vendors get their pipes in a bit before those here, so if you’re anxious you might check in to the etailers listed under the Blogroll in a month or so. 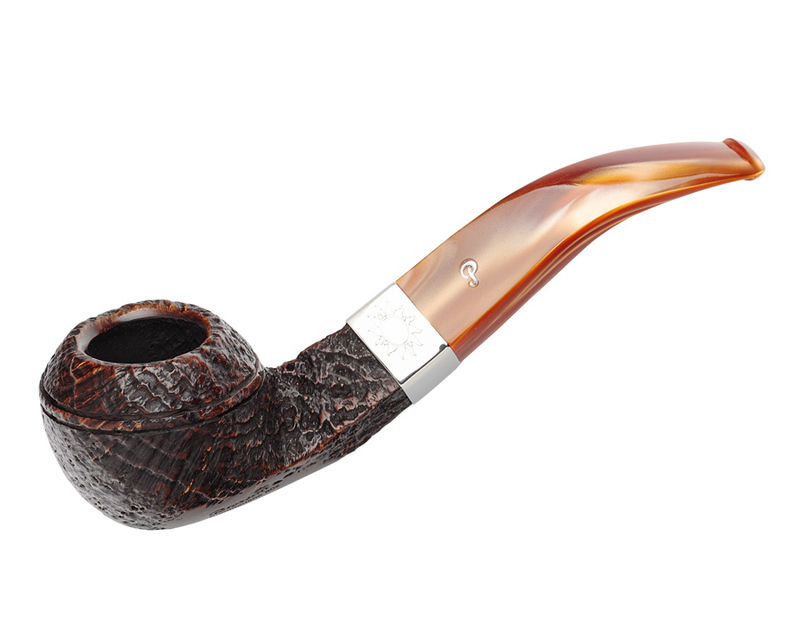 They’re all excellent, and most will deliver your pipe in the same number of days it would take one in the States. This blog entry is a wonderful St. Paddy’s day surprise! One of those Waterford shapes is calling my name! They’re lovely, aren’t they? Hope you’re enjoying a pint of Guinness or maybe a tot of Bushnell this evening, Al. We’re getting ready to watch The Quiet Man. So far, iced tea, but I’m hopeful for a Tito’s & tonic, have a great weekend. That Clontarf might be aimed at new or young pipe smokers but I love it!! Want one. Any idea when Peterson will make these available? Yes, I want an 05 — never seen it without a mount of some kind. No, have no idea when it will be here, but I’d expect June to July at the latest. 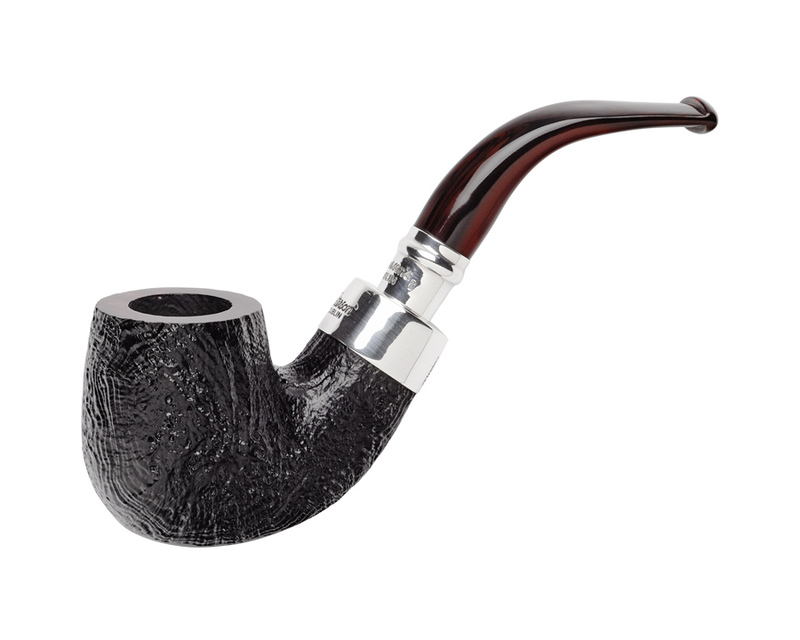 Mark, what is the best way, as a US pipe consumer, to stay abreast of Peterson’s releases so I don’t miss anything I really want? 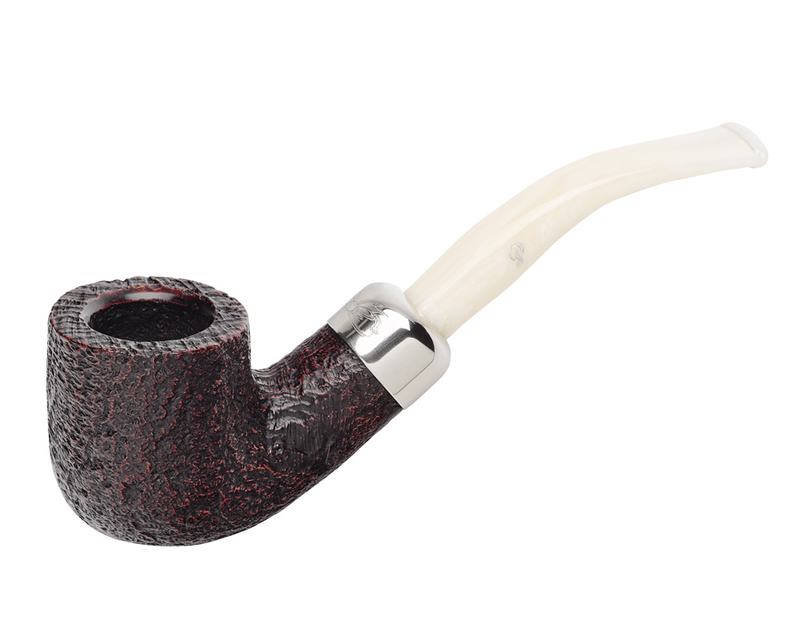 Only a handful of etailers send regular updates of new Petersons (packaged with other new pipe news more often than not). 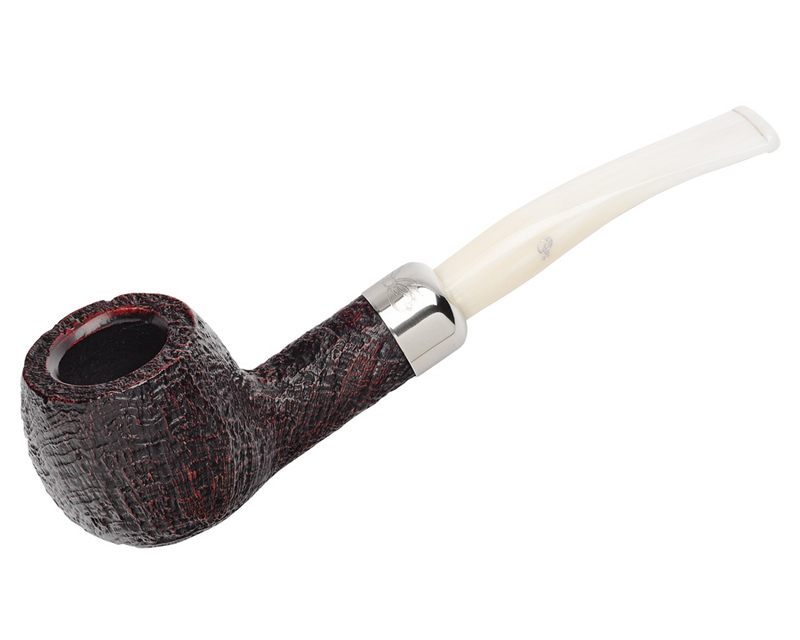 If you haven’t done so and don’t mind getting their emails, I’d suggest subscribing to Smokingpipes.com, Pipe Divan (James Fox in Dublin), and TobaccoPipes.com. The first is probably Peterson’s largest client on the planet and has helped me out on the book several times, as well as allowing me to use many of their photographs. 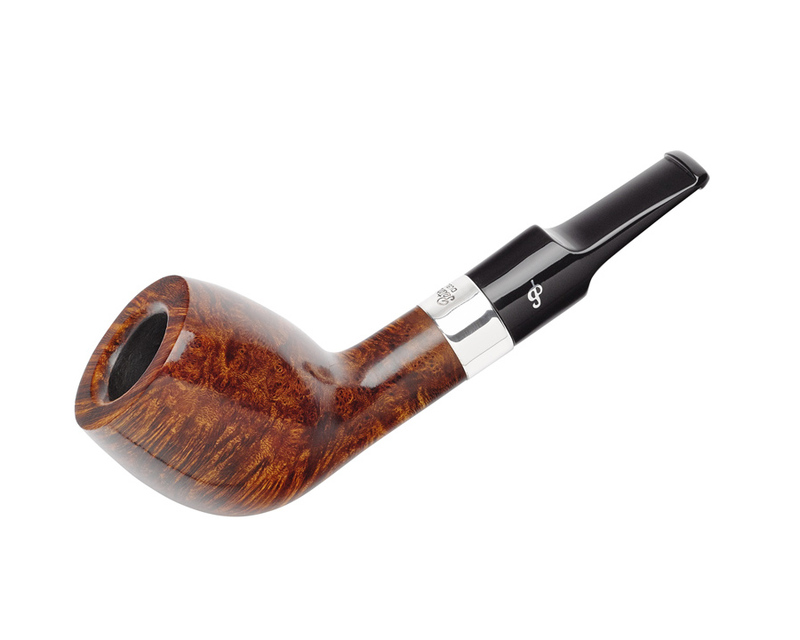 Pipe Divan won’t carry all of Peterson’s new lines, but the service is fantastic and Yiorgos will get the POY, for example, before anyone else. 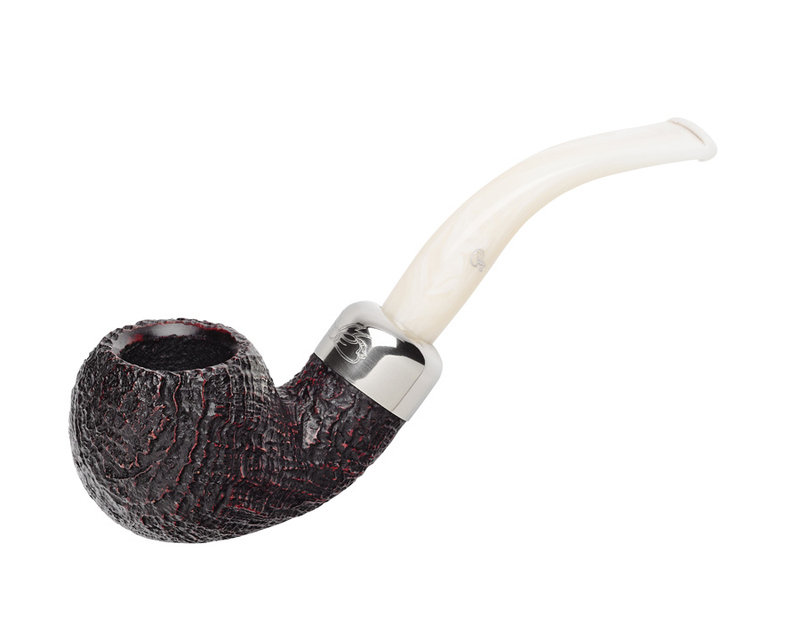 TobaccoPipes.com is a smaller business, but really loves Peterson and will stock all the new lines and let their customers know when they’ve come in, usually before anyone else in the States. 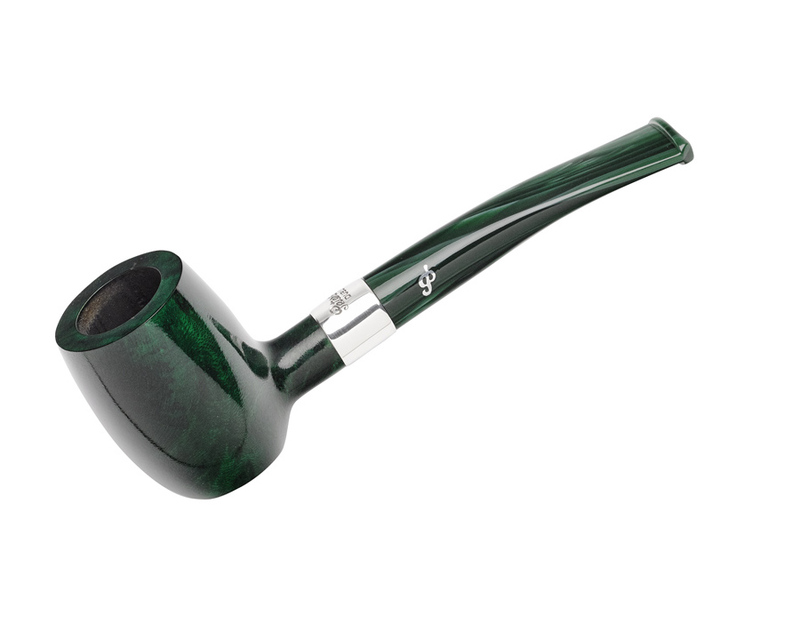 I have the 106 2017 St. Patrick’s Day Pipe. A good smoker. I’m looking forward to the Christmas Pipes. The 106 is such a classic, isn’t it? I will turn my hand to the 100 shapes at some point in the not too-distant future, as they were the first of the non-System shapes in the catalog. Wonderful!! I love the new POY!! Cool blog, Nicola! You’re so fortunate to live in Italy, where Peterson and Mario Lubinski make such great pipes together. Oh yes, Mario is a big friend!!! I love the “italian” Peterson. The top!!!! Check in to Saturday’s blog for more on the new 2017 POTY. Yeah, I’d hoped for an exact reproduction with the tapered (or “B”) P-Lip, but it’s just not in the market at this point. Keep saying you want it, though, and it may happen. Like the Jap. That only took about 3-4 years of fan-talk. Worth the wait, too!